Here at Freelance Mum we’re always thinking about how to make our community more fun, supportive and effective for you. And in March 2019 we announced a whole new way of organising our membership that works for everyone. How does Freelance Mum membership work? We’re making Freelance Mum simple, affordable and sustainable – for everyone. 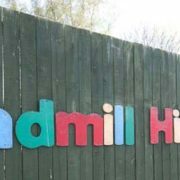 Child-friendly business networking events at Windmill Hill City Farm every 4th Friday of the month. 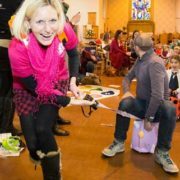 Includes a guest speaker, a ‘netwalk’ – walking and networking, entertainment for the children and refreshments. Child-friendly business networking events at St Paul’s Church, Coronation Road every 2nd Tuesday of the month. Includes a guest speaker, a ‘netwalk’ – walking and networking, entertainment for the children and refreshments. Access to our exclusive Freelance Mum Facebook group, The Mothership. It’s packed with business advice, experts, daily focus questions and support – it’s a buzzing online community. Plus, our weekly feature ‘Freelance Mum Star of the Week’, showcasing a different FM every week! Freelance Mum is proud to be working in partnership with beebooked, to help give your business a boost. beebooked is a free listing app – which helps showcase freelancers and connect communities. Better still, if you sign up and mention you’re a Freelance Mum, you can have a premium listing for free! As a member you will need to register for the events you want to attend just so that we can track numbers (and make sure we have enough cake). When you register, please select ‘Free FM member ticket’ and complete the registration process. * Freelance Mum networking events run twice a month (one at Windmill Hill City Farm and one at St Paul’s Church) throughout the year with a break for in holidays August and December. I‘ve not been to Freelance Mum before, can I come along and see what it’s all about? If you’re new and you want to try out Freelance Mum, you can attend for one month absolutely free. That includes both Freelance Mum at The Farm and Freelance Mum at St Paul’s during that month. You’ll also get a month’s access to The Mothership, our buzzing Facebook community. Great! Your free month starts from the date you attend your first Freelance Mum event. For example, if you attend your first Freelance Mum event on the 15th May your free month lasts until the 15th June. To start your free month simply browse our list of upcoming events, chose the event you would like to attend and and select ‘Free FM taster ticket’ and complete the registration process. Expert led sessions that will equip you with more of the skills you need to make your business fly. A chance to network, brainstorm and socialise over fabulous food – all without your children in tow! Our annual celebration of International Women’s Day, featuring exciting talks, activities and more. Our annual celebration of every thing freelance and self employed at Windmill Hill City Farm. Two day, all inclusive, micro business retreat, to fully immerse yourself, your business and your family in a beautiful countryside setting. Have a question about Freelance Mum? Why not check out our helpful FAQs and useful information page or feel free to contact us and we’ll be happy to help you.